Ferrari has been busy celebrating 60 years of selling its exotic sports cars stateside. The company hosted an extravagant event on Rodeo Drive recently–including 60 of its finest specimens to commemorate the milestone and a luxury auction. It was at the auction that we discovered how much the Ferrari 458 Speciale A is worth: $900,000. 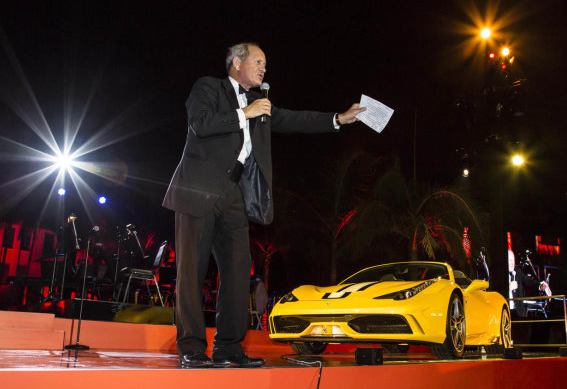 The gorgeous specimen took center stage for the auction, which was well-attended by local celebrities and those close to Ferrari.